Adams Golf is a golf brand based in Texas. It was founded by Barney Adams in 1991. They have been around since 1983 under the old name of Dave Pelz Golf Inc. and when it went bankrupt the new founder bought the assets and started Adams Golf. They may not have many staffers on the top 50 of the Official World Golf Ranking but some of their players have made their marks such as Ernie Els and Aaron Baddeley. They may not be on the top 10 but their brand has made a mark in the golfing world and still continue to impress critics. Callaway Golf Company is an American Sporting Goods company that manufactures not only golf equipment but also accessories and golf-lifestyle related products. It is also the largest maker of golf clubs in the world serving over 70 countries worldwide. They also have many professional golfers under their wings that play on the world’s leading tours. One of their famous players is Trevor Immelman, winner of 2008 PGA Championship. They also sponsor players that belong to the top 50 like Chris Kirk, Hideki Matsuyama, Henrik Stenson and much more. Callaway Golf Company is one of the leading brands in Golf thanks to their incredible market sales which allows them to take care of many golfers. Ping Golf is an American manufacturer of golf equipment located in Phoenix Arizona. It was founded by Karsten Solheim, who is an engineer at the General Electronics. 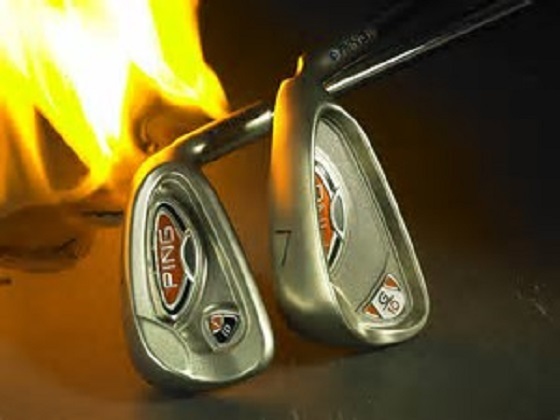 It was founded in 1959 which makes Ping one of the oldest manufacturers. Ping was the first manufacturer to offer high-quality cast clubs which allowed better quality control for high tech features and opened new lanes for manufactured fitting. Ping has seven players in the Top 50 list of golfers around the globe which makes them a brand not to be underestimated. You can check out some of the Ping Products on their website at https://www.thegolfshoponline.co.uk/ping. TaylorMade Golf Company is also an American Company that is located in Carlsbad, California. It was founded by Gary Adams in 1979. They are famous for having the best drivers in golf and it is the second best brand on tour. Their reputation also includes many top ranking players such as Justin Rose, Dustin Johnson, Sergio Garcia and Jason Day, all of them belonging to the top 50 in the world ranking. TaylorMade has been one of the foundations in the game of Golf and they still continue to support the game. Titleist is the number 1 brand in golf today. It was founded by Philip E. Young in 1932 and it is located at Massachusetts, USA. Instead of trying to gain the big name players in Golf, Titleist pursues large numbers of pro players and help those players improve for the better. Thanks to their different approach, they have landed 15 of the top 50 golfers in the World Ranking. Titleist is known to pick pro players which have potential and because of that, they have been on top in the list of best golf brands.